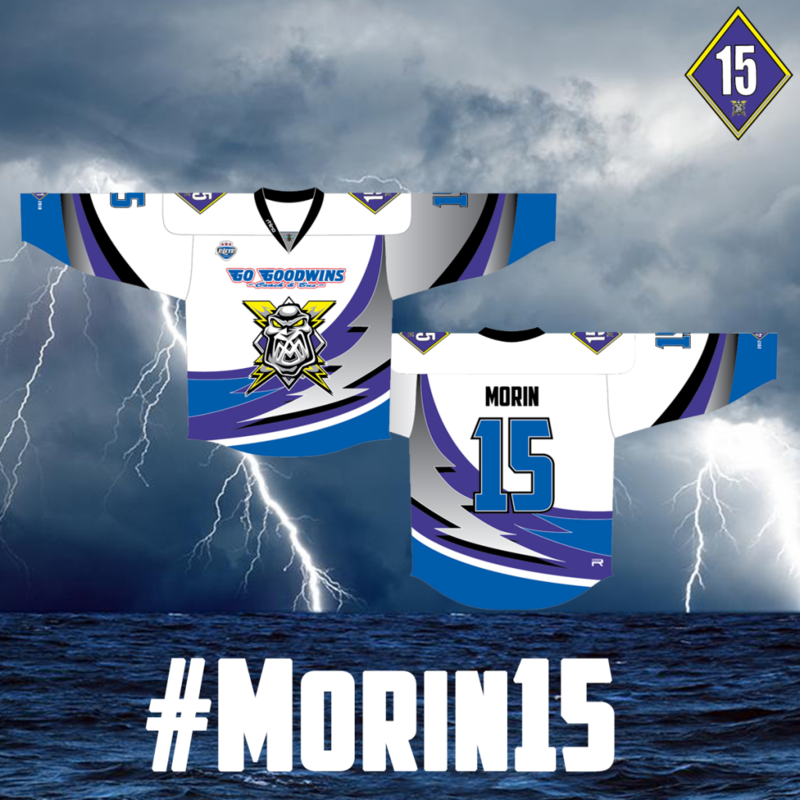 Get your #Morin15 jerseys NOW! 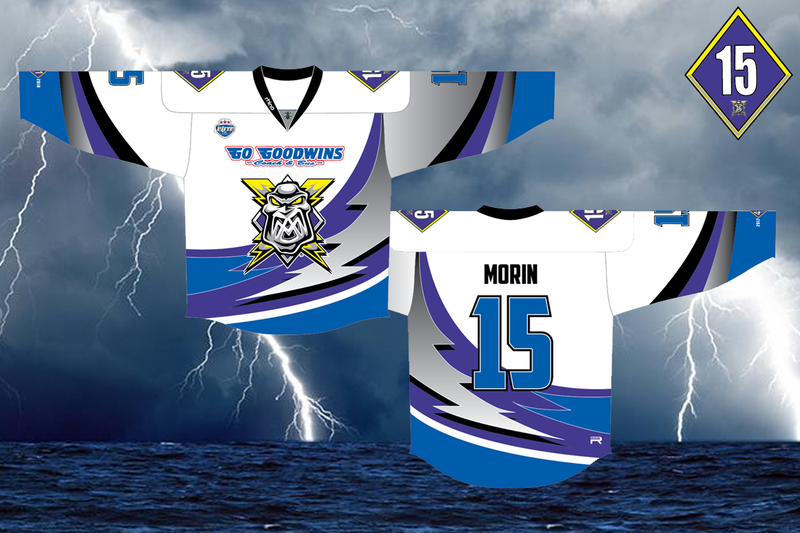 Your Go Goodwins Manchester Storm are delighted to announce that fans can now purchase their limited edition game-worn #Morin15 jersey! The jersey, which has been designed by the club and will be produced by Rhino, is a modern reboot of the popular Adidas jersey Morin wore during the late 90’s, when the club won the Sekonda Super League. It will be worn for one night only on the 12th November, when the Storm retire his #15 to the rafters. The Limited Edition jerseys features the Go Goodwins logo in the same style as the old All:Sports logo, and the EIHL logo/Players Name/Numbers stitched onto the jersey by our sponsor, Custom Sports Stitch, are on sale for just £200 each from HERE! Plus as an added bonus, if you purchase a #LimitedEdition game-worn jersey before the game on the 12th, you will also be able to get a photo with the player whose jersey you purchased and get your jersey signed by both the player and Morin after the game. All money raised from sale of the Game Worn jersey’s will be put directly back into the club, starting with the junior academy! Please Note – During the sale of the Halloween Jerseys, it became apparent that items might duplicate sell if bought within seconds of each other. As such, the Club operate a STRICT first come, first served basis. OSC pay for Hotel stay ahead of Dundee!! !